Melbourne is the capital of Victoria; an Australian state with interests in the verticals of education, entertainment, health-care, research and development. Being the top financial centre of Asia-Pacific, Melbourne provides immense opportunities for software and IT personnel with expertise in agile management and Certified Scrum Developer Certification. KnowledgeHut provides online training in agile management along with CSD training in Melbourne. This course via KnowlegeHut helps IT and software employees, engineers and testers to gain an in-depth understanding of Scrum principles and Agile engineering concepts. What is the course all about? Scrum Development is an Agile Management programme that helps programmers and testers simplify the process of developing complicated programmes with the help of Scrum tools and Agile Management principles. Focussing on the Scrum framework along with principles and roles of the Scrum environment; thiscertified scrum developer certification helps candidates enjoy a professional edgesettling in high-paying jobs, thereby living their career dreams. Benefits of the Course: After the successful completion of the CSD course in Melbourne, candidates can gain an edge over others with an invaluable and sound expertise in agile environment. 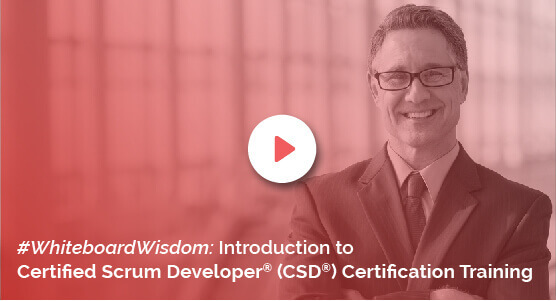 This speaks volumes of the demand for CSD Certification in Melbournealso due to the fact that this training makes complicated product development take off effortlesslywhile also improving relationships among team members in the workspace. Aworkshop also comes as an added incentive for candidates to par take in while making the most of practice sessions and career guidance by an expert tutor affiliated to KnowlegeHut. The KnowledgeHut Way: The online Certified Scrum Developer training in Melbourne at KnowlegeHut is provided by certified agile management trainers. Alongside this benefit, the e-learning course is tagged with a nominal cost. The aspiring engineering and IT professionals at Melbourne can enrol and pay fees for the course at KnowledgeHut which will be strengthened through an exhaustive course material. Promising a strong foundation of the basics, other student-friendly tools like a demo and interesting lecturesmake up the list of benefits to aspirants.